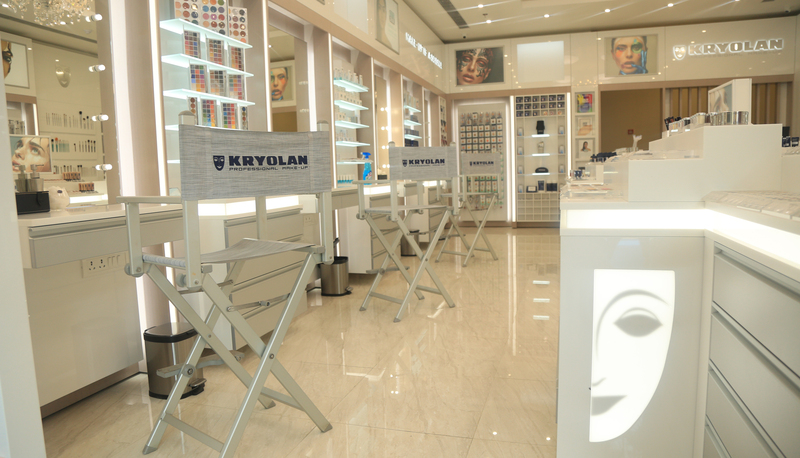 ProfessionalBeauty: How do you think Kryolan is performing in India? Margolzata Langer: Kryolan is our best performer all over the world. We reviewed how we are doing in the US, in Europe and so on. Last year we faced economical crisis in the US and Europe, so India is going up and up and up. Between last year and the year before, we have grown by 10%. PB: Do you see growth in the kind of make-up professionals India is churning out now? ML: Yes, we do. People are getting knowledge from everywhere. We conduct seminars, teaching and schooling about our products – how to use them, what do they do, why they are different from other brands. We teach our trainers and our trainers teach make-up enthusiasts. People often ask, “What is the difference in your product and other brand?” There is a very big difference because we formulate everything on our own and then we produce. If you come to me and say, ‘I want this colour’ for something, we can do it. Nobody else can do it, but we can. PB: You have a manufacturing facility in Chennai? ML: Yes, we do… since12 years. We are 76 years old now in Germany, more than 40 years old in the US and 25 plus years old in Poland. We came to India specially because people were searching for our products. They were so hungry for them, they had to smuggle them from abroad. Paying for the custom was so expensive, and nobody wanted to import them. We came to Indianot jsut to produce for ourselves, but for the people here. This is why our products can compete with the prices of the other brands, because we produce, package, even print on boxes here in India. PB: How do you ensure that the quality is the same? ML: It is absolutely the same – 100%! Because these are our own formulations. You can speak to our our doctors and they will tell you that 100% of what we produce in the US, in Berlin or in India, everything is the same. PB: Do the doctors conduct quality checks on all the products? ML: They were just here for a month and they are always coming in India. Because if you lose control today, you make a little mistake and tomorrow the mistake is bigger and bigger. For example, the girls are trained at the beginning, twice a year and then every year. Each year I send a trainer to correct them. PB: Are all the trainers from Europe or the US? ML: Yes, from all over the world. PB: Are you planning to have Indian trainers as well? ML: We do. We already have a few of them. They are also trained under the ‘Kryolan Education Programme.’ There are also new trainers taking part in this programme, which is for a few weeks. All they do is train, train and train. And now they know exactly how we train them. Education and training is our forte. You need to have an artistic mind and soul, and you also need to know how to use the products correctly. Sometimes people use moisturiser incorrectly. Many apply oil to moisturise the face and then apply make-up over it. Then suddenly they find their make-up is slipping, it’s going away. And they come and say, your make-up does not stay. So, we also train also private individuals. Correct application is 50% of the job. The other 50% is removing makeup. People don’t care for thier own skin. They use wrong methods to remove make-up. They rub too much and do not use a proper remover. Think about your skin and get a proper remover. PB: How keen are you on the fashion weeks and the backstage makeup? ML: We are very much keen. We do fashion weeks in London, Paris, Italy, New York and Toronto. Our trainers also go to the Oscars. We also do beauty pagaents. PB: Do you also come up with a trend guide? ML: Yes, twice a year we have a new look – for Spring/Summer and Autumn/Winter.